When you ferment milk to the point that it becomes rich with useful nutrition then you are in fact making yogurt. In the process of fermentation of the milk you are using useful bacteria in order to get the desired result. What many are probably not aware of are the benefits of consuming yogurt. Yogurt is full of probiotics, which are in fact living organisms that can be very beneficial for the entire body when they are consumed in certain quantities. 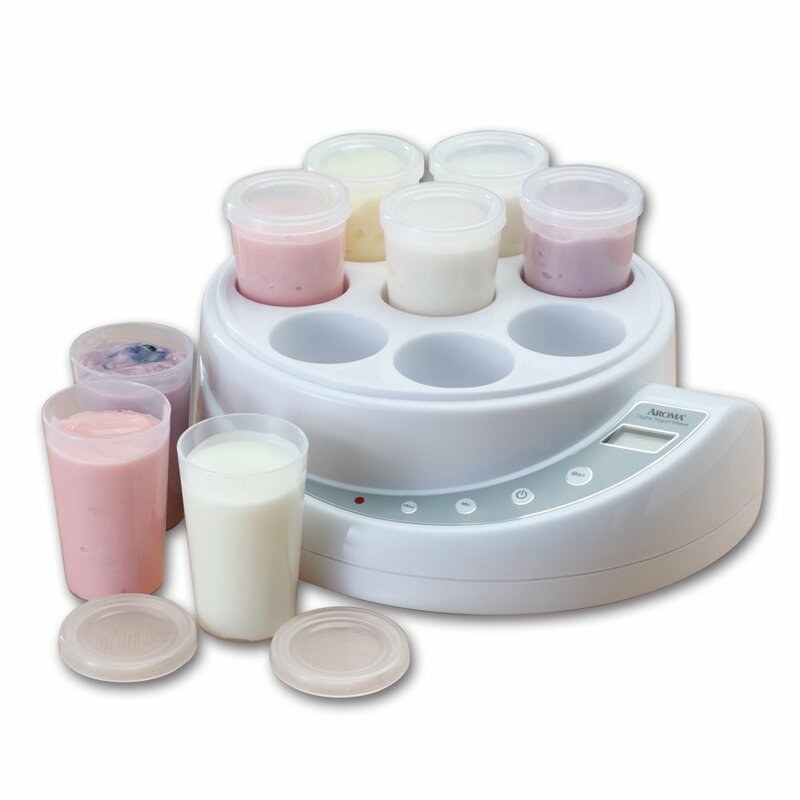 To make the entire procedure easier, companies have created simple or more sophisticated yogurt makers that will make you a delicious drink in a matter of hours. One of those makers is the Dash Yogurt Maker. In the following brief we will describe the method of use and the advantages of this maker. Dash Yogurt Maker has very simple design. It is especially convenient for people with limited kitchen spaces due to its small size. It consists of a base container, a yogurt container and a lid. In addition it has an on/off button on the front of the maker. Bear in mind that this is a rather basic maker which means that certain prepping and manual control will be needed. Unlike the fully automatic makers, with this maker you will have to pre heat the milk. When you decide to make yogurt pre heat the milk you intend to use at the desired temperature. Make sure you use the milk right after you finish heating it. The next few steps are very easy. The milk, or your ingredients for making yogurt (as you might be using a powder or similar) should be placed in the yogurt container. Then the container should be placed inside the yogurt base and the lid should be closed. You will have to plug in the unit and wait for the maker to do its job. Unlike the fully automatic makers, with this maker you don’t have a display where you can adjust the time of the fermentation. In addition it doesn’t have an automatic stop when the fermentation is finished. That means that you will have to decide on your own how long do you want the process to take. The time will be determined by the type of yogurt you are making but it usually takes from 6 to 8 hours for the process to be finished. When the maker has finished its work, you should turn it off to let it know that the work is done. When we consume yogurt it helps us improve the natural microflora and by that it also enhances the work of our intestines. As yogurt is mainly made of milk, in addition to the probiotics, you will also be consuming a product which is nutritive with other materials such as calcium, potassium, magnesium and much more. As we previously mentioned yogurts is made in the process of fermentation of milk. The benefits of yogurt are undeniable, and this simple maker can be of great assistance in making delicious yogurt. You can experiment with the ingredients and make a variety of flavours that will make the entire experience of consuming yogurt more pleasurable. If you are looking for something on the cheaper end of the market, that proves a helpful tool without having all the bells and whistles of some of the more expensive makers on the market, this could well be the one for you. 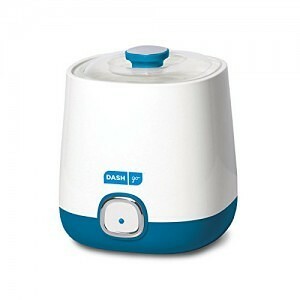 Generally very well reviewed on online retailers, the Dash isn’t the best yogurt maker on the market, but at its price point, it packs a punch. This entry was posted in Dash and tagged Dash, Yogurt Makers.